We all know that studio monitors are something that everybody in the music business should probably have. Especially if you want to have a high-end, proper equipped recording studio. Of course, you can always have other types of speakers. However, with a good studio monitor – you get excellent attention to precision and this is very important for professionals. If you happen to be a recording engineer, for example, you have rather specific quality demands from the tech gear you work with. This is because when you are listening to a mix, you should have a clear view of every single sound in the mix. Of course, if you end up having a bad mix, you might get away with it on some systems, but on more professional ones, the same mix will sound terrible. And this is exactly why we have to talk about the best studio monitors today’s market can offer. You can find them in all shapes, sizes, colors and more importantly – budget ranges. If you do it for personal purposes and you enjoy recording at home, you probably don’t need a high-end sound monitor. However, for those who do it professionally – a studio monitor is a must. Serious audio work demands a serious studio monitor. Of course, a good alternative for those who don’t do it professionally. For example, they are an excellent way to start a studio without investing too much. They give a certain close perspective on things too. They can be excellent for beginners and those who are still learning. However, the difference in the quality of the sound is exemplary. 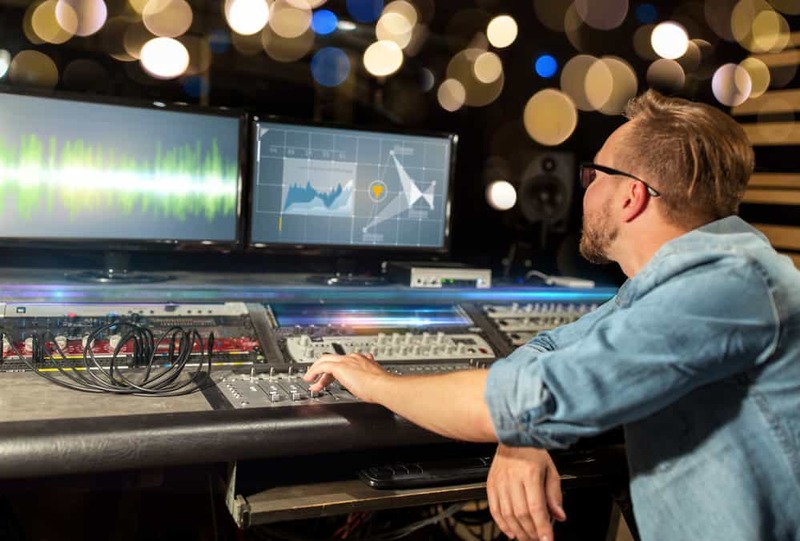 It is very simple – monitors are a MUST if you want to produce high-quality recordings. The reason for this is the fact that the monitors are being created with the purpose of accuracy. So, if you want to be sure about the quality of your final result – you must have one. Yes, sometimes the monitor will not give you the nice-sounding mix. However, it will show you all the flaws in your mix. This is why accuracy is the main thing you get from a good studio monitor. It is also the same reason you must invest in one if you want to invest in your business. 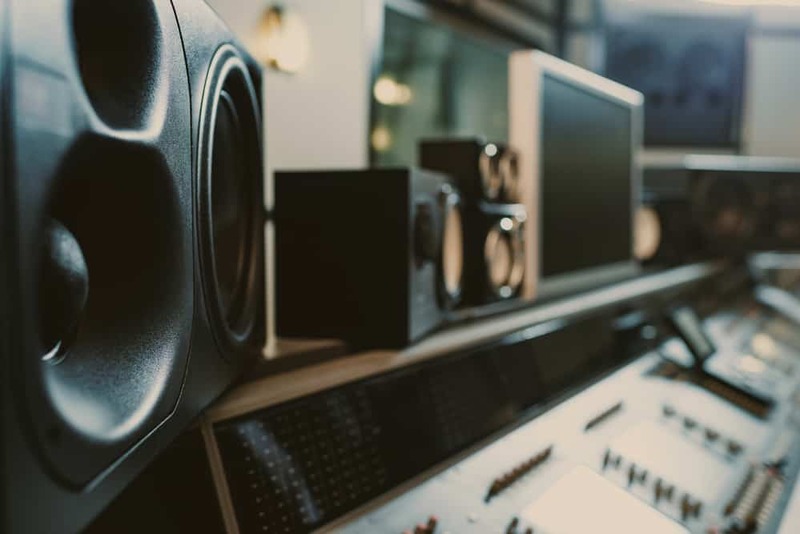 In order to be excellent at recording – studio monitors are your investment. Of course, by having one, you as a listener will benefit a lot more compared to having headphones. For example, the studio monitor will eliminate the reflections from the walls in the room. Studio monitors get you close to the sound, and you are able to notice all sorts of details in the sound. So, if you want to make an investment and have a good business – studio monitors are the way to go. However, if you want to listen to music and record for personal needs and as a hobby, headphones is your best choice. As we said before, studio monitors are basically loudspeakers in speaker enclosures. Moreover, they are created with a certain purpose. This, of course, includes professional audio production purposes. 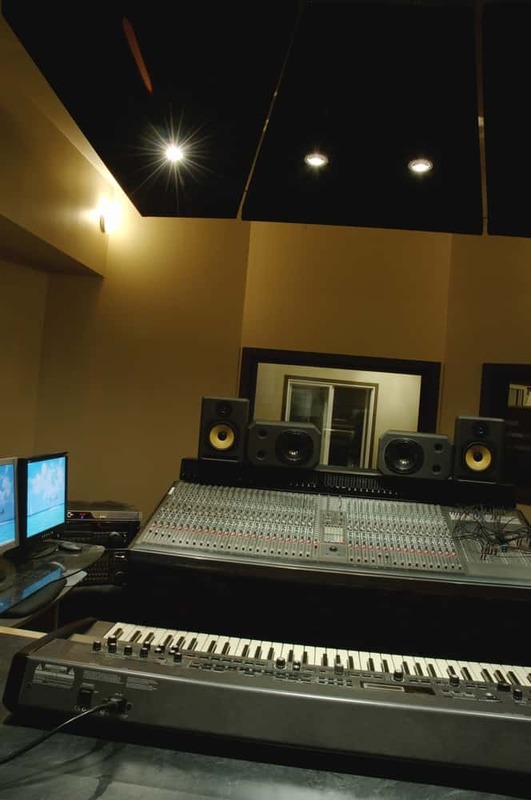 For example, you will find one in TV and radio studios as well as other recording studios. The most important thing about them is that they satisfy the criteria for accuracy in audio reproduction. Those who are professionals in the field already know that by being a monitor, this device is made to offer a linear phase which is flat and it produces frequency responses. Additionally, the sound monitors produce minimal de-emphasis and emphasis on certain frequencies. Also, this makes sure that the studio monitor produces a very accurate reproduction of the actual tonal quality of the original audio. Lastly, studio monitors make sure that there aren’t relative phase shifts on certain frequencies. Another thing you should know about them is that they have a bulkier construction compared to home loudspeakers. The reason for this is that the latter has the purpose of reproducing recordings. On the other hand, the studio monitor is there to work with the unexpected bursts of sound and higher volumes which can occur when users are playing unrefined and incomplete mixes on them. So, to answer the question, we must consider one important thing. This, of course, are the expectations and abilities of the sound monitor user. Namely, if they are a professional like an audio engineer – they will find studio monitors quite helpful. These are the people who will benefit from making an investment such as this one. Also, the sound monitors will help them produce higher quality work by saving time and energy. In the end, accuracy is very important for positive results and this is true even in the sound recording industry. If after reading the text above you have come to the conclusion that you need a studio monitor, we are here to help you even further. Namely, this is the question that bothers a lot of people – even professionals. The reason for this is very obvious – there is an abundance of studio monitors on the market. Different brands, specifications, and features at different price ranges. This might get you very confused and that is completely okay. So, for that reason, we are here to help you make the best choice you can make. The most important things when it comes to defining the quality of a studio monitor are the individual expectations. So, each person who considers having a studio monitor should take a look at their needs. By carefully defining your needs and expectations, you will easily be able to make a shortlist of your most-wanted studio monitors. Think about the industry you work with and what you expect to achieve from having a studio monitor. Additionally, take into consideration the price you are willing to pay for your next investment. After you have done this, you must do your research carefully. This basically means that you need to read a bit before you make the final purchase. If you do this, you make sure that you don’t overpay for the studio monitor as well as that you don’t get disappointed afterward. In the end, this means that you should make a smart and well-thought-out investment. And we must say that this is, in fact, an investment because the smarter you invest, the greater will the quality be of your mixes. So, make sure that you don’t go way lower than you can afford because you must make this investment worth your time and money. There are certain things to be taken into consideration before you make the buy. Namely, if you are well-informed, you will already be able to make a purchase which satisfies the needs of your specific business. However, you mustn’t forget to consider the size of the speaker. For example, if you are mixing in a tiny and small room, you should aim at getting a smaller studio monitor. This will also mean that you will get much more accurate results. Another thing that a lot of people seem to forget is the sound. Yes, the studio monitors should have good sound, but they don’t need to actually sound good. This isn’t their purpose. They should be as precise and as accurate as they get. After all, you need to be able to notice every single detail in each of your mixes. This way, you will know all the good and bad sides from your mixes and you will have the real chance of improving them. However, don’t forget that the specific acoustics of a certain room has a huge role in the overall quality and experience. Make sure that you have good acoustics in your recording room too. After you’ve made your purchase, this is probably your next question. Luckily, we have a few things to say to you on this matter. Studio monitors are somewhere in the middle between hard and easy to use. Namely, they require certain expertise and knowledge. However, even if you are a beginner – you can invest some time and have the same benefits from the studio monitors as other. The first thing to remember about studio monitors is their setup. Namely, it is very reasonable that different studio monitors have a different setup. This is the very reason why before and after making your purchase you must do your research. See how other people are using the same studio monitor and how their experiences are. More importantly, read the proper manual given to you by your manufacturer. However, probably the most important thing is setting it up according to your specific needs. In order to get the best out of it, you must adjust it according to your working environment. Place it where it should be and control your acoustics in the control room. Also, you must remember that smaller rooms aren’t a great choice for a recording studio. The reason for this is because some of the bass frequencies aren’t given a chance to be fully developed. Additionally, when it comes to using the studio monitor, you must know other things too. For example, if you are in the TV business, you might need to get a subwoofer too. So in the end, the answer to the question of how to use your studio monitor is very subjective. You should adjust it to your needs and expectations as well as the actual abilities of the monitor itself. If you do this process carefully and responsibly – positive results are almost guaranteed. Now here comes the section where we review the best studio monitors on the market right now. Ready? Here we go. Those who like high-quality sound have already heard of the name Neumann. This is a reputable brand which offers high-quality studio monitor speakers. And the same case is with the KH 120 studio monitor too. The quality and the performance they offer are much greater than most of the people’s preferences. 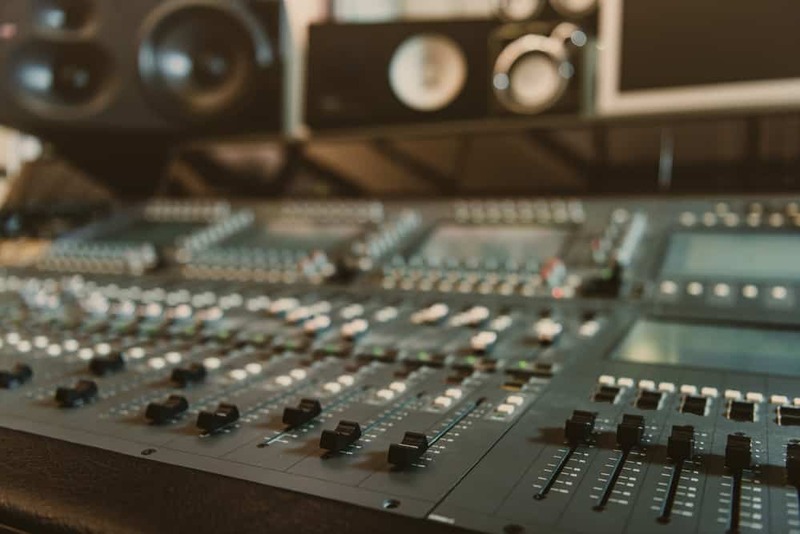 Even though this studio monitor is a beast, don’t be scared – we have all the information you might need about it before you make your purchase. They are great for almost everything – from vocal editing to dialog mixing. The Neumann KH 120 is simply a monitor speaker which inspires excellent work and productivity. The brand is reputable and you should know that you don’t need to expect anything but the best from it. It is as accurate as they get and they simply get the job done the way it is supposed to be done. Looking at this studio monitor doesn’t do much for the user. You will be surprised from how average these sound monitors look. They don’t have anything pointing to the fact that they offer impeccable performance and quality too. They almost look like the average budget speaker you find in every market. Firstly, the manufacturer built the cabinets using high-quality aluminum. Additionally, it is noticeable that all of the seams and the joints are very close to perfect. For the user and the listener, this means that they don’t give vibrations when you use them. This simple design is what makes sure that the sound is clinically precise. Also, the profile of the waveguides as well as the baffle is simply a result of calculation and precise working. Additionally, Neumann KH although it looks very average, it is still a sight for sore eyes. The reason for this is the subtle details you can find in them. For example – the metallic grille with the main driver. Asides from protecting the driver, this grille is what gives out the fact that this is a very high-quality studio monitor. With great power comes great responsibility is the main thing we have to say about this beast of a studio monitor. If we compare it to other similarly priced monitors, we’d see how many advantages this model has. It offers a better quality of the sound, better performance and it is much more convenient to use them. However, the greatest thing that crushes their competition is the features they incorporated in the KH 120 as well as the process of manufacturing they used. We have to mention that the speakers are being powered by an analog Class A/B bi-amplifier. This is excellent because it proves once again how powerful Neumann KH 120 actually is. On the same subject, it is safe to note that each one of the speakers has 50 Watts. In total, this is 100 Watts per speaker and it comes at 111.1 dB max SPL. Additionally, audiophiles will be amazed to hear that the amps comfortably crossover at 2.0 kHz at 24 dB/octave. Moreover, you will find a lot of unique features on the rear panel too. Here is the three-band acoustic control. It also has different sliders for low-mid, trebles and bass. Amazing, right? Well, we have some more info about it. For the convenience of the user, the output level can be adjusted at 1m. This is also the closes that are recommended by Neumann to listen to. If you need to shape the tone additionally, you can do so. You can use it according to your needs and this is exactly what makes the KH120 a unit to use professionally. The moment you turn it on, you will notice the type of quality and performance you really have. We are well aware that the market describes a lot of monitors as flat and transparent. Still, the KH 120 of Neumann’s simply changes the game on this subject. Firstly, it has already been tested a lot, and the frequency range on this studio monitor is accurate to a single Hertz. The case is not much different when we talk about frequency response in different parts of the spectrum. The whole unit has clinical precision, regardless of how impossible it sounds. We believe that it is safe to say that this studio monitor will work perfectly in all sorts of recording studios. However, it just doesn’t make a lot of sense to use them as desktop speakers. They will sound perfectly there too, don’t be confused. However, they have so much potential and it is highly suggested to use them to the maximum. With it, you will be able to create some very serious work. You will not be able to miss a detail, even if you wanted to. All the lows, mids, and highs are well reproduced and they have a warm and natural sound. 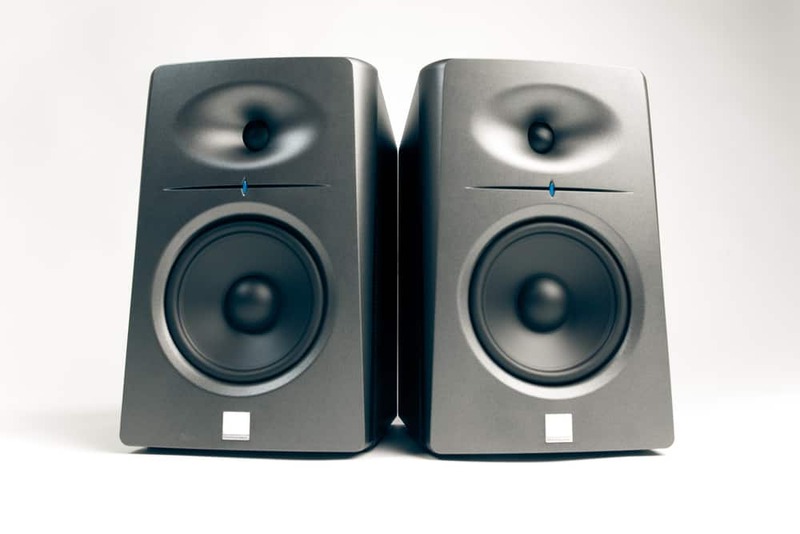 This set of studio monitors offers excellent features including connectivity and convenience ones and it is why it has an improved performance too. If you want to get only benefits and almost zero disadvantages, the Neumann KH 120 must be on your shortlist. This is a studio monitor crated with the purpose of satisfying the needs of the pickiest audiophiles in the world. 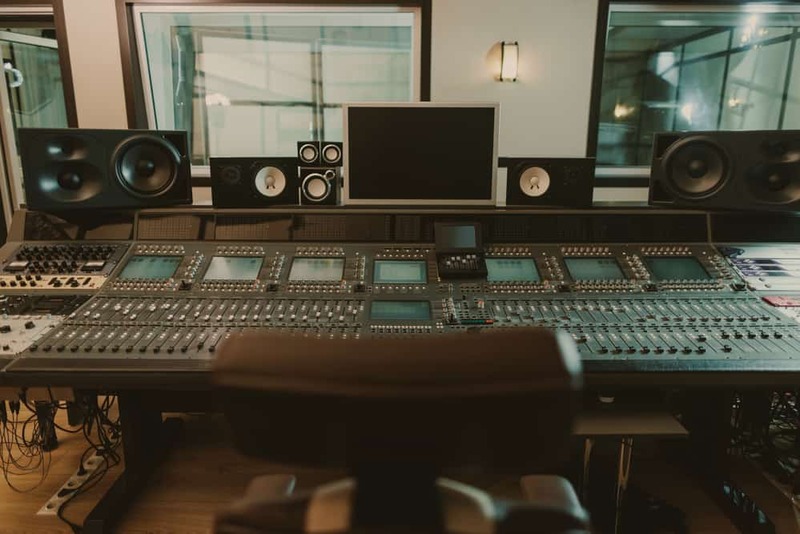 It is an excellent fir for professional recording studios as well as those who like to create high-quality recordings and mixes in their home studios. The reason for this is very obvious – Neumann knows the needs of the audiophiles and they know how to create the clinical precision which is in high demand in today’s market. So, if you want to be a professional, you must use professional equipment and the Neumann KH 120 is the purchase we suggest you make. It is a well-known fact that Alesis has been creating and offering studio monitors for a very long time. Specifically, they’ve been on the market for more than a quarter-century. During this time, they have managed to learn a lot of things about sonic clarity and making the most out of each sound. Additionally, they have been using some high-end tech in the process of making their studio monitors. Namely, they are using the tech from Monitor One as well as M1Active – their award-winning speakers. This is the same reason why they made the Elevate series so powerful and helpful to the everyday audiophile. Namely, the Elevate 3 studio monitors are excellent for those who seek to improve their overall mobile or computer device experiences. They took the excellent designing technique they are known for and they implemented it in the Elevate 3 model. This, of course, resulted in a natural and accurate sound which isn’t affected by the volume or the frequency content. The best thing that Elevate 3 speakers offer is the impeccable sound. Without paying too much for it, the buyer gets impressive quality. The sound is full-ranged and it has impeccable quality. Also, this is true regardless of the type of the mix, master, and other multimedia content. Additionally, the sound is very warm and well detailed. This means that the user will have a crystal clear view of each sound and each detail in it. This means that you as a home-recorder can be able to see exactly what you have created. Talking about the performance, we cannot help but notice that the Elevate 3 studio speakers are equipped with 3-inch woofers which are very powerful. Additionally, the Elevate 3 model features a wood cabinet which makes sure that the resonance which has a negative effect on the clarity is suppressed. Also, it features one-inch silk-dome tweeters which offer a crisp sound. Additionally, this means that the lows are full and the highs are very clean. This also means that the stereo image is perfectly precise. On the other hand, we have to mention the internal amplifier on the Elevate 3 model. This one is designed accordingly as well as it is equalized. It works in accordance with the drivers on the unit and it results in excellent impact as well as an output capability. The last thing we must mention here is the convenience for the user. Of course, we are talking about an eased operation for all users. Regardless of who they are – professionals or beginners, they will have an excellent time with it. This is why the knob for on, off and volume control is located on the front panel of the speaker. Additionally, this means that regardless of how organized you are, you won’t have to worry about the ease of operation on this speaker. The knob on the right speaker’s front panel is there to help you save some time and nerves too. If we compare it to other speakers which can be found at similar prices, we would notice several things design-wise. First of all, the Alesis Elevate 3 might be a bit crude and bulky for certain people’s needs. However, this is the case rarely. In other cases, they look very good aesthetically and they fit into different environments easily. The more important thing about their design is the quality of the materials used in it. For example, in the case of Elevate 3, the cabinets are of standard MDF design. This also means that they do offer a decent quality and some resistance to external impacts. It isn’t recommended to move them around very often, but if you do, you won’t damage them easily. It seems that Alesis had fun when they worked on improving the standard black box speaker. This is why, now the Elevate 3 has a very cool, stylish and modern look. For this reason, they have added luxuriously-looking plastic rings around the 3” drivers. This also improves the aesthetics found in these speakers. Additionally, Alesis made sure to design both speakers by porting them to the rear. This adds to the design subject as well as the convenience of use one too. You need to know that the Elevate 3 set is a two-way speaker set which packs 60 Watts of power. Additionally, as we said before, the speakers come with 3” drivers and 1” silk-dome tweeter on top of them. The tweeter is placed in a horn which adds to the functionality and it helps when the sound is being channeled. In order to improve the convenience for the users, Alesis made sure that the configuration of the ports on the back is very basic and easy to understand. You don’t need to be a professional to figure it out either. We also must mention the subject of connectivity. With Elevate 3, you get RCA inputs with the passive speaker out as well as a 1/8” stereo/sub output. The most interesting part about them is, of course, the Bass Boost switch. This switch makes sure that you get an extra range in the lower frequencies too. Additionally, this model has a magnetic shielding. This means that you can easily use them around computer monitors and similar equipment without causing any damage. If you want to get excellent range and clarity for your studio, the Elevate 3 is surely a good way to go. Anyone would be impressed to get such good mids and trebles for a studio monitor at this price range. If you want to achieve bare-bones monitoring, you will be amazed how these studio monitors perform. They don’t have a lot of features, but the ones they do have are excellent and will make your life a lot easier too. Those who like and enjoy good music have already heard about Focal. If you haven’t you are in luck because we are here to tell you a few words about them. This is a French-based company which gained its reputation and fame with audiphiles from around the world. The reason for this was of course, their creation of impressive speakers. They offer different products for different needs of people and they seem to satisfy everyone. With the purpose of satisfying everyone’s needs, they have also created the Alpha series. These studio monitors is what we like to call budget friendly. Of course, this term doesn’t say everything. There is a lot more that comes from these studio monitors asides from them being reasonably priced. They offer a lot of benefits which is why we simply had to write a Focal Alpha 50 review. This might be the studio monitor for you if you know what your needs are and how they can be satisfied. Additionally, even if you are just an audiophile, you will benefit a lot from having impressive speakers like these ones. A lot of people don’t know what to expect when they are getting budget friendly studio monitors. The reason for this is that some simply aren’t made for that purpose and the buyers end up disappointed with their purchase. In order to avoid this, you must be informed and to know your brand. Luckily for you, you don’t need to worry about this with the Focal Alpha 50. The Alpha series can work nicely as studio monitoring for mixing and recording purposes. Of course, if you compare them to high-end monitors you won’t get the same results, but they offer some decent quality. So, this means that the overall sound quality is respectable and you should be just fine with thme if you are just starting out. They wont disappoint you either. They have all the accuracy and clarity you need in order to make a professional master mix. Compared to other Alpha models, the 50’s are very detailed and offer some decent sound too. You will be able to notice the difference in the sound from the first time opening them. The Focal Alpha 50 model has a one-inch poly-glass inverted tome tweeters which is excellent to begin with. Additionally, it has poly-glass cone woofers. Compared to the CMS and Passport series by Focal, the tweeters have a lot of similarieites too. However, the difference between them is the 100% aluminum you can find in the Alpha tweeters. The other models have more expenisve alloy but this doesn’t mean that Alpha’s aluminum tweeters lack performnance. Additionally, the Alpha 50 has some excellent features to start with. It offers 35W amp for its woofer and a 20W amplification for the tweeter which is amazing and it offers excellent performance. Additionally, it has a great frequency response of 45 Hz. You aslo get a deeper bass and the sounds don’t get easily dropped and distorted. Talking about the build and the design, we have to mention a few things too. Namely, just like it is the case with other monitors, you can find the power switch on the back of the monitor. It is close to the power plug. Although this can be seen as a downside, this isn’t the case in this situation. Namely, at Focal they thought about disorganized people and they put the switch at the top corner. This makes it very easy to reach and you won’t have a problem with that. There is something that makes each speaker special, however, it seems that the Alpha 50 offers a lot of benefits to the user. For example, it features a “Sensitivity” switch. It can be found on both of the speakers and with it, you can switch between 0dB for regular using, and you can put it to +6dB when you want to increase the volume and want to hear more and get more details from your work. Additionally, the Alpha 50 features frequency shelving at 300HZ and it features 4.5 KHz +/- 3dB which is great. This makes sure that you get the best experience as a user too. The best thing about the 50’s is the quality of the sound. Namely, you will be surprised how good the vocals are and how smooth the sound is. Additionally, this excellence is improved by having good acoustics too. It simply sounds natural and it won’t disappoint you. Talking about the quality of the sound, we must mention the clarity. With Alpha 50, you will be able to listen to every single detail in your recording. It offers excellent reproduction and tremendously good clarity. This model is probably the best one from the Alpha series too sound-wise. Additionally, the 50 doesn’t offer some great volume, but it definitely is satisfactory. Especially if we take into consideration the price range. You will be able to fill a room perfectly fine with the deep and even bass. Of course, we are talking about a room with the size of an average home studio. We can all easily come to the conclusion that the Focal Alpha 50 is an excellent value for what we pay for it. If we take into consideration the price range, we would see that the performance is way above what anyone would expect. This studio monitor is excellent for a lot of purposes, you can even use them as desktop speakers. Still, they have a lot of potential and you should use them to the maximum. They offer excellent sound quality, performance too. It is simply an excellent purchase you can easily make without overwhelming your own budget. Also, if you wanted to start recording and if you wanted to learn how, this is the purchase you need to make. 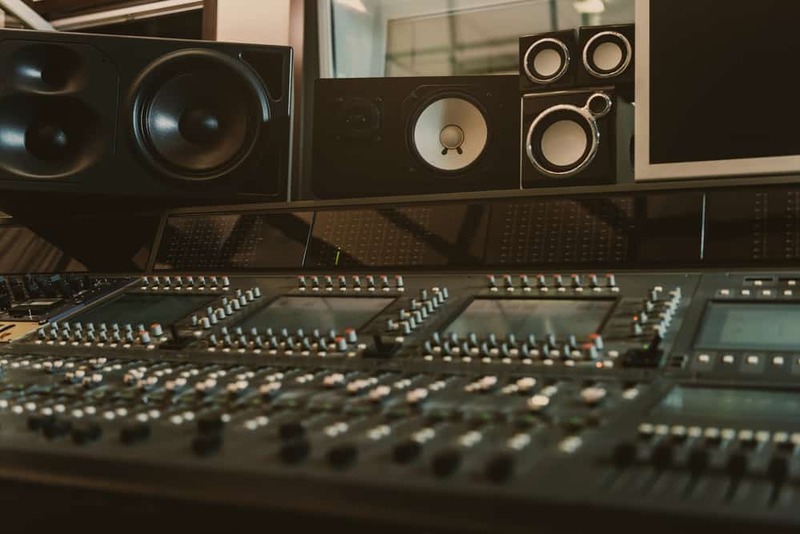 These sound monitors will help you get to professional level of mixing and recording, and you will be able to see what mixing and recording really is about with them. Having a great sound from your studio monitor is never a bad thing. Of course, you can be disappointed when your mix doesn’t sound the way you intended it to. However, you are the one to notice the flaws and you are able to make the adjustments. If you don’t have one, you might end up embarrassed by flaws in the sounds in front of other people. Regardless of where you are recording – at home or professionally, you will benefit from it. Even if you want to impress your family or create something for yourself, it is wise to invest in a studio monitor. Today’s market has a lot to offer to you equipment-wise. Still, it is smart to make a good investment after you’ve researched your purchase. For this reason, we have compiled a thorough M-Audio AV42 review to help you make the right decision. This speaker is excellent for those who have a home studio and who want to make high-quality mixes in it. It is a small purchase when you take into consideration the satisfaction you get from the end-result. It is obvious that the manufacturer had one thing in mind when they designed the AV series of these monitor speakers. Namely, they are there to satisfy the needs of budget-conscious users. Probably the greatest worth for your money is, in fact, the AV42 in this case. You don’t pay a lot and yet you get some great features in a great package from a reputable manufacturer. Additionally, it is obvious that when each of the AV series monitor shares similarities design-wise. Obviously, the AV42 is a level up from the AV32 version in both design and performance aspects. This is why this monitor shares some features with the previous one. Namely, the cabinets in this speaker are made mostly from MDF. Still, the baffle is made from all composite which in some cases can be an issue upon launching it. Still, M-Audio managed to do a really good job when they made it very solid and sturdy. This also means that this monitor is resistant to external impacts. Moreover, the transducers are stacked just in the way you would expect them to. Another thing regarding them that you need to know is that neither of the transducers has a grille to cover them up and affect the sound. Additionally, we have to talk about the Optimage IV tweeter waveguides section. Yes, it is as cool as it gets. It works perfectly and it would amaze you, considering it comes with a 1” ferrofluid-cooled silk cone unit. A lot of people claim that the AV42 is just a larger version of the AV32 and they aren’t very far from right. However, there are few differences between these two speakers. First of all, the power output segment is very different. Secondly, the full-range driver’s size is different. Lastly, the difference can be seen in practice because the AV42 is somewhat better than its predecessor. On this subject, we have to mention that the AV42 features a 4” polypropylene cone driver. This driver has been powered by a Class A/B internal amplifier. In the end, this results with a better performance and sound quality. Moreover, the power output is 20 Watts per channel in the case of the AV42. This might look like a bad thing but that is just in the numbers. In reality, the AV42 offers excellent performance and it doesn’t lack any power – at all! Another thing you should know about it is that the cabinets are ported. This results in having more richness and flavor to the bass. It also means that the bass gets expressed much easier. Looking at the back panel, you won’t be disappointed. You have an RCA input set as well as some passive speaker outputs. It is somewhat a bad thing that the power button is on the back panel too. However, if you are well-organized, this shouldn’t be a problem. Also, you shouldn’t be surprised that there aren’t any room acoustic controls featuring in this set. Of course, the raw performance makes up for it because it offers excellent benefits even without these features. Talking about the performance, the most important thing about this set, we have to mention that they are very capable. If we take into consideration that we are talking about 4” drivers, we wouldn’t be impressed. However, they reach low-end marks easily and without problems. Additionally, they have all the qualities you need for music production while being on a budget. More importantly, they offer excellent sound qualities. It comes as a good surprise hot tight and balanced the trebles are. Additionally, the mids are the greatest thing the speakers can achieve. This doesn’t mean that the highs and lows are bad, but the mids are simply perfect. It would be a good conclusion to say that although 20 Watts on each channel is not impressive, this speaker handles them very nicely and accordingly. You wouldn’t be disappointed with your end product either. These speakers are there to help you make a good working environment where you can mix professionally, even in your home. It is safe to say that sometimes in order to achieve more, you don’t need to pay more. In fact, in this case, you get excellent quality without paying way too much for it. If you have a home recording studio, the M-Audio AV42 is an excellent choice for your next purchase. It is good for working in smaller rooms and their configuration is there to satisfy your needs. With it, you will be able to create neat mixes for you and your close friends. Of course, they are also excellent to start a business with. Your home recording studio will be grateful if you make an investment like the M-Audio AV42 one. There are a lot of studio monitors to be found on today’s market. Some are a lot pricier than others and they all seem to offer different features and qualities. However, when you take a closer look at the Mackie CR5BT you’d notice one thing. It is simply too good to be true! It has a very reasonable price while offering some of the best features you can find, even on much higher-priced studio monitors. This Mackie is simply the purchase you have to make if you want to invest in your recording studio. It will help you get better results in no time. You will get the performance that each recording studio must have in order to achieve something positive. So, if we have your attention, keep on reading our Mackie CR5BT review to know exactly what you must know about this awesome studio monitor. Of course, what meets the eye is not always the most important thing. However, it is always a benefit to having a studio monitor which is of a high-quality build. Namely, the Mackie offers some good features on this subject. First of all, the Mackie studio monitors are equipped with a wooden cabinet. Basically, this means that they have some weight to them. Also, from the first moment of unboxing them, the user easily notices that the construction is good and of high-quality. This makes them somewhat resistant to scratches and damage from the surrounding. You can move them around if you need to and you won’t need to worry about damaging them easily either. Another thing you need to know about them is their aesthetical value. Namely, asides from not having a grill in the front they have other cool design-related features. Of course, we are talking about the green rings around the drivers. This is what makes them interesting and unique compared to completely black speakers. However, the drivers are fully black and they don’t have any texture on them to distinguish them or make them unique. To make up for that, Mackie made sure that these speakers are equipped with a power LED around the volume knob. Also, to make them look more modern, when you connect it to another device, the Bluetooth button lights up. This is definitely a cool feature from both aesthetical and functional aspect. One of the most important things about studio monitors are the tweeters. In the case of the Mackie, the tweeter features a soft dome. On the other hand, talking about good quality materials, we have to mention that the woofer is coated with polypropylene. This means that different impacts of external factors shouldn’t be a problem. Another thing that you need to know about the speakers is that they are rear ported. This means that design-wise, you must be careful when you are placing them. They can easily fit in different surroundings from the aesthetical aspect. However, from a functional aspect, you must be careful where you are putting them. If you place them in the wrong spot, you might have a problem with the bass response. By getting the Mackie you also get a lot of accessories in order to use the speakers to the fullest. You get manuals as well as a 3.5 to RCA cable and cables for connecting the passive and active speakers. You also get a split isolation pad. Talking about the cables, the one that has the purpose of powering the passive speaker isn’t very long. You should have that into consideration for when you are planning to set them up. Also, remember that although small, they take up some space too. So, if you place them on your desk, make sure that they have enough space. Talking about the connectivity, it is safe to say that the Mackie CR5BT has all the bells and whistles. If you are in for an all-rounder speaker, this is the choice for you. This pair of speakers features a balanced input of ¼-inch jacks at the back of it. Of course, you can put there left and right channels. Additionally, these studio monitors feature an RCA input and you can use it with your smartphone, TV or PC. All in all, they have excellent connectivity. Moreover, the Mackie features a switch that lets the user swap the right and the left channel. This means that you, as a user, have the chance to keep the active speaker to the right or to the left of your setup. All in all, the active speaker features an output for the passive speaker and you have the power button there. On the other hand, on the left speaker, you can find the input from the amplifier in the active speaker and nothing else. This feature saves you a lot of time and keeps your studio monitor very organized too. Lastly, the Mackie can be connected via Bluetooth and they have a headphone output on the front. Also, here is where you can find the AUX input. Overall, you get great connectivity with excellent performance. We talked about the connectivity, but we must mention that performance-wise, the inputs work together and they don’t cause any issues. The sound doesn’t get muted by plugging in different cables either. If your studio is equipped with complex audio setup, this comes in very good. The main reason for this is that it is convenient for the user, it saves a lot of nerves and time, and it makes your life a lot easier. Talking about the sound quality, we have to note that this is the sound that you wouldn’t expect at this price range. The bass, highs, and mids are excellent and above expectations. The fact that these sound monitors are versatile doesn’t affect negatively the quality of the sound at all. The 5-inch woofer, as well as the 3/4th-inch silk-dome tweeter, are simply amazing. You won’t need to make another investment ever again. This set of speakers is just what you need if you want to get the best sound possible. You won’t even need a sub-woofer. It can do the job accordingly and it comes at a very reasonable price. It is like a dream come true for audiophiles. In order to have a good home-recording studio, you must have a good studio monitor. Of course, this cannot be achieved by having headphones in all cases. Sometimes, you need to listen to every single detail you can find on the track. Also, in order to have positive results with your mixes, you must be very detail-oriented. In order to achieve this and thus, positive results, a well-functioning studio monitor is a must. The best thing about the Alesis Elevate 5 studio monitors is exactly this – it lets you create good work. Also, you can use them as computer loudspeakers which is just another benefit from them. In the following text, we are going to focus on the most important things about these studio monitors. In the end, you might turn out to find them as a perfect fit for your needs. So, sit back and relax and find out why the Elevate 5 might be a good monitor for you. A lot of people have issues when it comes to the ports. Luckily for them, this 5-inch woofer ported speaker has two small ports facing the front. Namely, a lot of experts prefer frontal delivery of ported sound. So, if you are looking for a good studio monitor having the previous into consideration, the Elevate 5 is the choice for you. These powered desktop top studio speakers are excellent because they offer high quality. Also, they have a lot of advantages for your recording purposes. They can be used by consumers and for studio purposes because of this. Namely, they don’t have perfect speaker placement frequency control and they somewhat lack bi-amping. However, if you have a home studio, this will not be a problem. They can do just fine for your needs if you do your recording at home. They have a good construction which makes them sturdy and durable. This means that they don’t get damaged easily too. Also, if you have them at your home, in some cases it means that you might need to relocate them. This won’t be a problem because the construction is good and they are nicely built. Just like it is the case with a lot of other budget-friendly monitors, these come in a pair. They have connections and controls on just one of the speakers and there is a single cable connecting it to the remote speaker. In the case of the Elevate 5, the right speaker is the main one, while the remote one is the left one. Still, if you are worried about this, you shouldn’t be. You can easily switch places if your outlet is on the other side. All you need to do is to reverse the right and left input connections. Talking about the inputs, we have other info to share with the potential buyer. Namely, the inputs are adequate and do the job accordingly. For example, the RCA and the 1/4 – inch phone plugs are excellent and to the job properly. Also, the ¼ inch plugs are well-balanced which means that in the end, the Elevate 5 can be used for a studio monitor for home purpose. The same situation is with the two-conductor power cable. Also, it features a polarized connection which is great too. However, it is important to note that the Elevate 5 does not feature other inputs. Namely, it doesn’t have some great connectivity features. It doesn’t have a 1/8-inch plug, Bluetooth connectivity or USB connectivity. The quality of the sound is the most important thing you need in a studio monitor in order to make great mixes. Of course, you need to be able to notice all the details to know that your mix is flawless. Luckily for you, the Elevate 5 offers a spectacular sound. Of course, if we take into consideration that it is a 5-inch woofer system, there is a lot of output. Another thing you need to know about this matter is that this studio monitor features a continuous rating of 40 watts. Although it is not a big number, it doesn’t lack quality at all. There is sufficient sound and it is of good quality too. If you have a studio at home, you would be able to record without any issues. Namely, the sound is great and very useful for different projects. Especially if you know that the Elevate 5 also features a two-conductor 1/8 inch plug. Although there isn’t any bi-amping, there aren’t crossovers between the tweeters and the woofers. You should also know a few things about the stereo imaging. First off, it is safe to say that the imaging is decently pronounced as well as the upper midrange and the clarity. The sounds that are at higher frequencies also have great crisp character. You will be able to hear everything. However, on the lower frequencies, you might notice some unclear moments. Still, the fact that the bass and kick drums are very distinct and this makes up for it too. The design is something we all like in a different way, however, there are certain things we all demand. For example, the Elevate 5 has a solid build. This means that it doesn’t get damaged easily. Additionally, the design is made in a certain way to ensure better experience and convenience. For this reason, the manufacturer made sure that the level control knob is placed on the front of the right cabinet. Also, here is the 1/8 inch TRS headphone jack. You will spend no time going around the cables to do everyday tasks with your studio monitor. Lastly, the fact that the Elevate 5 looks a lot more luxurious than what you pay for, we’d say that the contemporary look with the low sheen vinyl and high gloss plastic on the MDF construction is simply excellent. If you want to have a stylish and well-working home-recording studio, we’d definitely suggest the Alesis Elevate 5 for your next purchase. Getting the Alesis Elevate 5 is a great purchase for home studios and for beginners. This studio monitor has the features to offer for the right set of customers. After all, it is a good and smart investment and with it you will enjoy making some quality mixes. You have probably heard already that the PreSonus Eris series are the best you can find. This is true especially if you are looking for a budget set of studio monitors. Regardless of what you are looking for exactly, the Eris E5 might be your top studio monitor because it is basic and yet, offers a lot of great features you won’t be able to find easily. This is exactly the reason why we must take a closer look at all of the most important aspects of these amazing studio monitors. We all know that the Eris series got their fame because of the great performance they offer at the very reasonable price range. For example, all of the Eris products are great, but the E5 comes as the best-balanced one you can possibly find. And yet, it is very reasonably priced. So, without further ado, here is everything you must know about it. It isn’t far from true to make the statement that if you have seen one Eris product from PreSonus, you have seen all of them. The design frame coming in each of these products is very similar although they are different models from the manufacturer. However, there are things that make them different in other ways. For example, what you can find in the E5 and you cannot in the other models is the section of front firing slotted ports. This, of course, affects the design and the aesthetic of the studio monitor. Also, it makes a great impact on the speaker dynamics and the overall quality. Of course, it is a good improvement and it is exactly why you should consider having it. After all, if you are looking for something good and functional, the E5 is definitely one of the ways to go. Design-wise, we must mention that the construction is good and sturdy which also makes it durable. Additionally, aesthetically, you should know that this simple design is an excellent fit almost everywhere. Regardless of what the surrounding will be like, these sound monitors are a good fit. Having said all of that, you know that there still are the woven drivers and the black MDF cabinets. Also, there are the back-lit PreSonus logos on both of the studio monitors. From an aesthetic point of view, Eris E5 are the type of speakers that will seamlessly fit in almost all environments. Talking about their size, they are chunkier. However, they are very to work with compared to other studio monitors. This is because of their simple design of the cabinets. Obviously, PreSonus made it their goal to achieve performance rather than aesthetics. Luckily, they succeeded so we will talk about that subject a bit more. When we talk about the hardware of the E5, we must mention several things. Firstly, the power output. You probably know that other brands offer from 40-50 Watts. However, here is where PreSonus did their best. Namely, they made the E5 in a way that it features 70 Watts of RMS. If we take into consideration that there are a 5.25 woven Kevlar driver and a 1” silk dome tweeter, you’d be impressed. After all, this configuration speaks for itself. It offers an excellent experience to the user and it improves the overall performance. Additionally, the Erin E5 features a built-in crossover. Asides from the mighty power, this crossover kicks in right around 3kHz. In the end, this results in having the e5 be a bit oriented towards Mids. Just like other speakers, the E5 also has a great variety of room acoustic controls. Namely, by getting the E5, you get Hf and MF trims, Acoustic Space as well as Low Cut controls. It seems that PreSonus wants to challenge its competition, this is why they go a bit further than them. In the end, this resulted with a great product like the Erin E5 – powerful, yet versatile. It has almost anything you can possibly ask for. This, of course, is the most important thing to consider before you make your purchase. The E5 has a large design and they have what some would call a beefy nature. These monitors are simply everything a person with recording knowledge would possibly ask for. On the same subject, we must mention other things. For example, PreSonus’ E5 studio monitors are well balanced and they can offer the best transparency you can possibly imagine across the range. Although, in some cases, they have a tendency of showing slight bias. However, don’t be worried because this bias doesn’t have an effect on the overall mixing and recording experience. In their segment, these studio monitors are probably the flattest you can possibly find. In the end, this results in getting a lot more benefits compared to other similarly-priced studio monitors. So, this basically makes them a great investment too. Also, we have to talk about how to position them. Those who have used them already know that it is very easy to position them. This is because they have front firing ports for when you are adjusting the output to connect with your spatial needs. Of course, you might need to take some time to dial it in properly, but it is definitely worth the effort. Also, quality-wise, you should know that the trebles are very rich and warm. On the other hand, the mids have a tendency of being tight and filled with girth. The E5 also controls the thunder on the lower ends too. So, in the end, we would conclude that this studio monitor is almost a great fit if you don’t want to invest too much. After all, it has versatile features and it offers impeccable performance. It is an investment you won’t regret making. It is always a good choice to invest in a home recording studio if you like those things. But when you do, it is very important to be careful and get a product you will be happy to have and use. Luckily, the E5 is an excellent choice for almost anyone. There are people who are careful about all of their purchases. Of course, it takes time to make a good purchase you will be happy with. This is not far from true when it comes to the people in the recording industry either. Especially when they are investing in tech. It is a very nerve and energy-taking process but without it, it simply makes no sense. In order to buy a good piece of audio equipment, the audio savvies must do a lot of research and testing. Without this, they might end up having bad results, bad job done and worse, they lose a lot of time. So if you are one of those people who want to get the best out of their work, you probably have heard of the Presonus Eris e4.5. Namely, this is one of the best studio monitors you can find at this price range. One of the best things about it is the fact that it resembles computer speakers and it still is priced properly. It doesn’t overwhelm your budget and it is simply great. Taking the price range into consideration, this studio monitor offers a remarkable sound quality. Additionally, it has all the features a person can possibly ask to have in their recording studio. So, regardless of what you do and how you do it, this studio monitor will help you make the best out of your mixes. Keep on reading to find out more about the awesomeness of the Presonus Eris e4.5 because we have a lot to tell you about it. There are three Eris monitors known for their quality and this one offers the best and finest bass definition you can ask for. It notices and detects roll off on the lowest frequencies, but then again, it brings a lot more advantages than it brings disadvantages. No studio monitor is perfect and we are all aware of it. However, this one is very close to perfection. From the crisp and intriguing imaging to the general sound quality and accuracy – this one has it all. It is a perfect addition to your recording setup and it will be of great help. This studio monitor is made with great confidence and it will make sure that you are confident with your work. With it, you will be able to notice all flaws and details in each of your mixes and you will be able to work on them too. So, if you want to get the best out of your studio monitor and you don’t want to overpay – this one is for you. The reason for this is that although it is inexpensive, it punches way above its price point. As we said before, the type of people who would benefit most from it are those people who want to get remarkable quality without overpaying for it. However, there are a lot of things to be taken into consideration about it. For example, if you record pop, rock or electronic music, you will have a great time with you. It is perfectly suited for this types of music and it simply brings out all of the details you need it to. On the other hand, if you work with acoustic recordings including strings, you might end up disappointed because this studio monitor has some limitations on this level. For this reason, of course, you might need to invest a bit more and get a high-end monitor. It offers some good features for all, but those who use real-world frequency adjustments will benefit from it mostly. There are a lot of things that must be mentioned on this subject, but we definitely must start with the sound quality. It is a well-known fact that PreSonus as a manufacturer never lacks the quality of sound in their products. Regardless of which one you have or intend to buy, you will not go wrong. 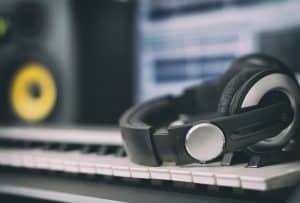 The reason for this is that the experts at PreSonus understand and satisfy the needs of the pickiest audiophiles in the world. Additionally, this is the same reason why their Eris series achieved great results on the market. It shouldn’t be surprising that the Eris E4.5 is an active 2-way speaker which comes with a Class A/B amplifier. Additionally, the amp is able to deliver some 50 Watts in total too. This basically means that the user gets 25 Watts per speaker. Of course, when they released it first, a lot of the users were skeptical about the 4.5″ drivers. Namely, they were so near the bare minimum units of 3” we can notice in the budget-friendly monitors nowadays. The most important thing is that this studio monitor has a lot to offer. For example, on top of each of the Kevlar transducers, the user can see a 1″ ultra low-mass silk dome tweeter. It sits there comfortably and it makes your life a lot easier. Lastly, on the back of it, you will see that there are other great benefits for you. For example, it has an I/O cluster which is made of balanced TRS and unbalanced RCA inputs. Also, besides those, the user will be able to find acoustic tuning controls with Mid and High knobs together with a low pass filter. Moreover, you also get an Acoustic Space control which tightens frequency response if you have the need for it. From the first time seeing it, you will notice that there is a lot of differences between other affordable monitors and this one. The PreSonus Eris 4.5 features cabs made of standard MDF. Also, it offers a natural and well-fitting design. You will notice that you won’t be able to find grilles over the main drivers because there are none. However, there is some mini grille integrated into the tweeters. Overall, the design is clean and neat. This can be great for those who want to keep things simple and not worry about it. Also, this means that it can be a great aesthetical fit into any surrounding you put it in. On the subject of performance, we have a lot to say. The 4.5” member of the Eris series is what you need if you want a well-rounded studio monitor. Firstly, there is a flat frequency response which will exceed your expectations. Also, they offer a great and clean sound with excellent accuracy. More importantly, you can adjust the acoustic controls on the back of the device. It is a flexible and versatile studio monitor which can satisfy all of you needs. Lastly, it is a studio monitor which will help you improve the quality of your mixes in a significant matter. It is optimized to offer the greatest performance you can imagine. This is you are almost guaranteed to have a great time working and recording with it. If there is one studio monitor you should have when you want to be financially rational – it’s the Mackie CR4. It is simply a very low-risk purchase and you get very high quality considering the price range. Of course, even home recording studios should be as good as possible. This way, with the Mackie, you make an investment without investing too much. Namely, it isn’t suitable for a big and professional recording studio. However, the Mackie will give you the type of performance that will make sure that your job is done according to high standards. In the following text, we will talk about the most important features found on this studio monitor. But before we do that, we must mention once again who is a suitable buyer for this studio monitor. Those will be the people who are just starting in the recording industry. Regardless of their expectations and goals in the end. This studio monitor can be used by those who don’t demand professional grade monitors and yet want to get a decent quality from their sound. Especially if we consider the price range of the Mackie, we would conclude that it is a safe investment for those who are learners and beginners and those who enjoy recording at home. Although this studio monitor is a very small investment to make compared to other more professional loudspeakers, it still has a lot to offer. As we said, the beginners and owners of home studios are to benefit most from it. Namely, one of the best things about it is that it features a 4” polypropylene coated woofer and this is excellent. Also, it also has a 0.75″ silk dome tweeter as well as a bi-amped class AB amplifier. If you aren’t amazed so far, you should also know that this studio monitor features a custom-tuned rear port tube for your convenience. When it comes to connectivity, the Mackie CR4 features 1/4″ TRS, 1/8″ TRS, and RCA Inputs which can be great for your home studio. It also has a stereo headphone output as well as a mobile device plug into the front panel of the monitor. To add to the overall quality, it also has passive second speaker terminals too. Moreover, this purchase will make sure that you have all the cables and isolation pads you need for using the studio monitor. However, one of the things which make this studio monitor great is the great design. As we said, it can look very good in a home studio. On this subject, the Mackie CR4 features a LED power ring around volume knob. It simply offers a lot of excellent features which can be of great benefit to the user. It shouldn’t even come as a surprise that a lot of users think of it as one of the best budget studio monitors. Looking at it generally, we can say that this studio monitor has a very simplistic design. However, this can be an excellent thing because they can fit in different room environments. Also, the cabinets feature a good and durable material. This studio monitor comes in as a dark gray with a touch of fluorescent green as an overall product. However, this makes it perfect for those who want to achieve good aesthetics with a hint of minimalism. Additionally, this makes the whole studio monitor look luxurious. This is why it can be an aesthetical addition to your home recording studio. It is engaging and good-looking without being too noticeable and the center of the attention. Of course, this makes it a great choice for people who want to have a functional yet stylish recording studio. It is almost obvious that when they were making the monitor, the manufacturer focused on other things firstly. For example, although it doesn’t look very noticeable and bulky, it offers great performance. After all, appearance is just the tip of the iceberg when it comes to studio monitors. The main thing that we need to focus on about the Mackie CR4 are its features. Design-wise, it fits in almost any room perfectly. However, when it comes to features, we have a lot more to talk about. In order to improve the performance of the overall monitor, the manufacturer made sure that the controls for power and volume are on the front part of the device. Also, this is the case with the 3.5mm headphone output. It will improve your overall experience while using it and it will save you a lot of time. And this will be the case especially if you have a practice of using the Mackie CR4 as a standard speaker. As we said before, the CR4 has a lot to offer. Asides from being an affordable speaker, it still offers great features which improve the quality. It doesn’t have the most features available, but those which it has, are excellently working. In the end, this results in greater convenience for the user. For example, the CR4 has a 4” woofer being paired with a .75” tweeter for your convenience. This will make sure that your home studio setup is good-working and neat. However, you must know a few things about it. Firstly, the power is limited to around 50 Watts which means that you shouldn’t have it in a professional recording studio. Of course, if you wish to, you can put it there. Still, you won’t get the maximum results from it. On the other hand, you must know that the CR4 has rear-firing ports. This means that you should be careful when you are setting it up. For example, it is suggested to leave some space between the back of the speaker and the wall. To add to the overall quality and convenience of use, this studio monitor has a very decent connectivity. It can be paired via Bluetooth asides from the other accessories that come with it. Also, there are buffer stands which make sure that the vibrations are minimized. If you are in this business, you probably know a number of people who already have the Mackie CR4. The reason for this is, of course, the performance. The best thing about them is, in fact, the accuracy and the transparent tones it offers. Although affordable, this studio monitor is far from having bad performance. Of course, compared to professional sets, it isn’t as good as them. However, compared to other home studio monitors, this one is one of the best ones. Performance-wise, this monitor is worth every dime you pay for it. It offers excellent features for its price range and it is great for beginners. You will be able to benefit from it a lot because it isn’t a big investment, yet it is a meaningful one. So, if you were looking for a budget home studio, the Mackie CR4 is your best buy.